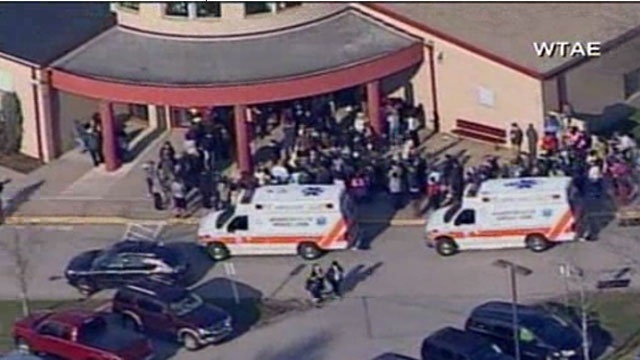 On the morning of April 9th, just after school started, a student at the Franklin Regional Senior High School in Murrysville, Pennsylvania, began a mass-stabbing attack that sent seven other students to the hospital with knife wounds. In addition to those injured in the attack, one adult and twelve students were reported to be injured in the panic surrounding the attack, but not directly due to being stabbed. Of those wounded in this stabbing, three are still in surgery, but all are expected to survive their injuries. The adult not injured directly by the stabber is currently in the hospital, but this was caused by a pre-existing medical condition that was activated by the stabbing (likely some sort of stress-aggravated disease like a heart condition). The stabber is a 16-year old male sophomore named Alex Hribal, who is now in custody of the police. Currently, we don’t have any conclusive evidence that would point to a motive for this assault—two of the victims were friends with the stabber and fellow students don’t recall Hribal being bullied. Hribal is now awaiting trial for attempted murder, and will be tried as an adult (barring some bizarre miracle, he will be convicted and sent to jail for a very long time). This mass-stabbing is a terrible crime and I feel bad for the victims, but it is undeniable that it could have been far worse. Looking back at tragedies like Sandy Hook, where 26 people were murdered, we are faced with the disturbing fact that this stabbing is a relatively minor incident in a sea of mass-murder assaulting the United States. 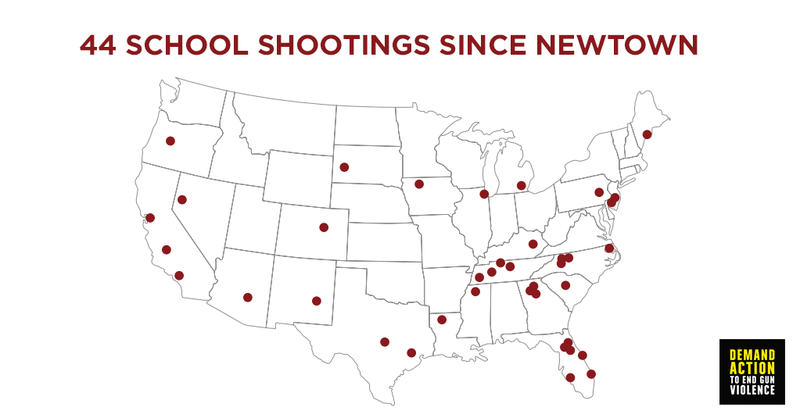 Even without including the extreme example of Sandy Hook, we see a disturbing trend of school shootings that has killed dozens. In the 14 months after Sandy Hook, the US experienced 44 school shootings, claiming 28 lives and injuring dozens more. Unlike most other incidents of mass-violence perpetrated by violent or disturbed individuals, there were no casualties in this case, and the perpetrator was stopped relatively quickly by authorities on the scene. The main reason for this decreased casualty count in today’s attack was simply that the perpetrator had a knife rather than a gun. Anti-gun control activists love to say that guns are just tools and that the intent to kill in the person is the real culprit in a crime—put simply, these people are either disingenuous or deluded, as they are ignoring the fact that some killing tools are far more efficient than others. It is certainly true that the intent of the user is necessary to make a gun or knife dangerous, but guns are FAR better at translating killing intent to action than knives. Guns are easy to operate, quick, have no physicality requirements, can be used without having to close range on the victim, and are able to easily inflict fatal wounds. These characteristics make them among the most effective weapons developed by humans (there is a reason why police and soldiers carry guns rather than knives, bows and spears). Unfortunately, when guns are easily accessible to violent, disturbed or irresponsible people, these traits allow such people to rapidly and effectively kill others. Knives can be effective weapons, but are far more restrictive in their efficacy than guns—they require training to use effectively, are limited to close ranges, are ineffective on multiple victims (a knife attacked will get mobbed quickly), and inflict wounds that are less likely to be lethal (most cuts are superficial and knife-strikes tend to glance off of bones that bullets would simply plow through). While there are certainly lethal knife attacks, and even mass-stabbings, these are far less likely to result in death than similar shootings. The knife attack today is a living example of how removing guns from the equation of violent situations can dramatically reduce the number of casualties and severity of the injuries of the victims, even though the killing intent of the perpetrators remains. While seven injured students is a tragedy, nobody died and everybody will recover given some time to heal. If this student were armed with a gun when he went on his rampage rather than a knife, the casualty count would have been far higher (maybe 7 dead instead of just 7 wounded). When trying to refute this argument and protect their precious guns, anti-gun control activists will inevitably cite mass-stabbings like the one in China which killed 29 people and injured 143—these people are ignorant, as their very example helps prove my point. That specific mass-stabbing was lethal because it involved an organized and trained group of at least ten attackers, working in tandem using knives that are better-described as small swords. If they had been able to get guns, that same group of people would have killed innumerable more (we have seen single shooters kill over a dozen people before they are taken down when trying to reload; imagine how much harm ten such shooters could do, particularly considering that they can cover each other while reloading). At the end of the day, we are left with the fact that any violence perpetrated against or by children is terrible and tragic. As such, we must take every step possible to minimize the motives for mass murder by implementing increased mental health care, while reducing the possible harm that mass killer can perpetrate by putting more restrictions on guns. By attacking the problem at both ends—the motivation for violence and the ability to perpetrate the actual crimes—we may gain a handle on these shootings/stabbings and, eventually, make our society safer for our children. You have knife training? Who was your instructor? A couple of people; I learned most of my basic straight-blade technique from an ex-marine named Jason Correa (integrated knife fighting), then I trained with my friend Ann in karambit usage and rounded it out with throwing training with my friend Andrew–along the way, I also picked up some tricks from a few other styles because I would practice with people from a variety of lineages. So what is your stance on knife carry laws and non-gun weapons carry laws? Everything must be based upon evidence and an analysis of the national crime statistics; if a weapon becomes a problem (ex. straight razors in Great Britain), then it must be regulated in a way that mitigates its harm on society. I understand that this may inconvenience some people–I have practiced with kenjitsu, escrima, and Iaido sword-fighters who have had their ability to own their weapons restricted; I also have two friends who practice kusarigama (two kamas attached by a ten foot chain that is rotated at high speeds in order to create an effective lethal attack range of about two meters) which is a weapon that has been essentially banned in the USA–but that is simply the price that we pay to protect human life. This may be a little bit of a strawman, but we ban grenades and missiles for this very reason: in both these cases, the potential societal benefit of the weapon (talk about robbery deterrence) is far outstripped by the realistic prediction of harm. Even when I watched the breaking news, my first thought was how much worse this could have been. I suspect they will find this young man has emotional problems, not related to being bullied but true emotional disturbance. It is sad to see this, terrible to witness.